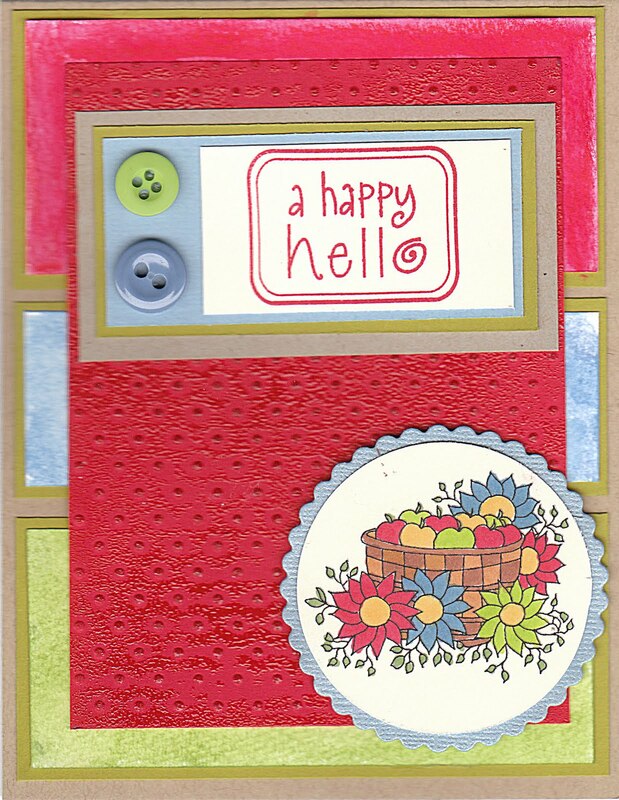 Thank you for sharing with us over at Crafty Cardmakers this week! 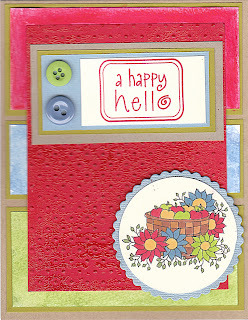 Love this bright and cheery card. Great artwork! As a challenge lover, you might also be interested in my Clean & Simple Sunday Challenge. All are welcome! Hope you can join us! P.S. Hope you did well on your test! This is cute, I like the springy colors. great job. Thanks for playing in the Totally Stampalicious Monday Challenge. Simple and sweet! Thanks for playing along with Corrosive Challenges! Hey! This isn't the card you showed at Guylou's Inimitability, but it's a GI digi and you're using red! Lovely card! Thanks for playing at Guylou's Inimitability! Oops!! So sorry! Too many windows open! :D I'm checking you out from The Outlawz! Maybe you should rush over at enter your card at Guylou's before the current challenge ends on the third! Dori, your card is beautiful! I love the colors you chose; they are so cheery! Awesome card! Thank you for participating in this week's Crafty Ho challenge! I hope you'll play along every week! Very pretty! Love the coloring and the fruit basket. Nice sentiment! Thanks for playing with us at Paper Playtime! Your card is so cute! Nice coloring! TFS at PPT!